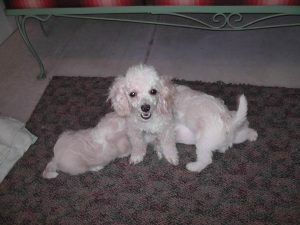 Poodles In Rescue – and Successful Rescues! – The Enchanted Poodle Club, Inc. 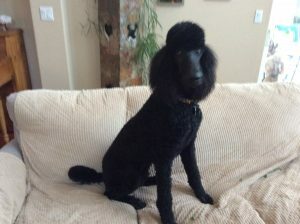 The Enchanted Poodle Club, Inc. > Rescue > Poodles In Rescue – and Successful Rescues! We are selling Christmas Stockings to raise money for rescue! Please click here for more information about these lovely Poodle Stockings! If you are interested in adopting a rescue from us, please fill out our EPC Home Evaluation. 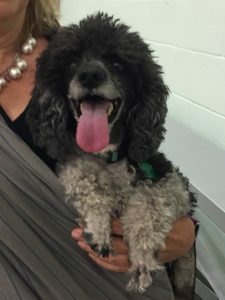 Even if there are no poodles listed, we get rescues in regularly and will have your evaluation on hand to see if you are a good match. Thank you! All of the poodles below are successfully in their new homes and no longer available. Paul is a 1 year old, 65 lb. apricot poodle puppy. He’s neutered, microchipped, and fully up to date on all vet checks. He’s been groomed regularly, so he is used to having this done for him. He’s a sweet, serious boy. He’s very smart, active, and athletic and not a snuggler. If you’re looking for a couch potato, he’s not the dog for you! He’s used to cats, but wants to chase them because it’s fun. He’s learning not to, but it’s hard to resist. He’s used to having a dog door and is not crate trained. Paul is loved and cared for. He’s a very intelligent poodle who needs a job to do. 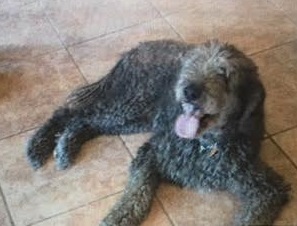 Max, a five-year-old standard poodle, is good with children, cats, and other dogs. His owner told us, “He knows to go to his crate when you get a cookie from him. He is a good alert dog who lets you know if someone is on the property. He can do long car trips with no issues. He loves going for a ride and doesn’t bark at other dogs or people if he is in the car. He loves going to the dog park. He started obstacle course training and he loved it. He very rarely licks anyone, so not a kisser. He will sit in your lap if your feet are up so there is enough lap for him to fit in. He doesn’t overeat, so you can leave food out if necessary and he only eats when he’s hungry. 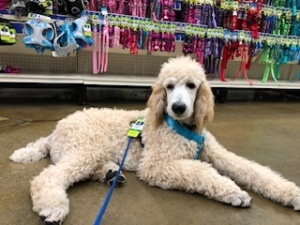 He loves to go for walks.” His foster family confirms all of this, and that he is a sweet, calm poodle who loves to meet new people. Max has sebaceous adenitis, which is an inherited skin disease and not contagious. His foster family changed his diet and skin treatment, resulting in his coat improving significantly. It’s regaining its curl and growing back. His owner had him on a small amount of thyroid medicine, but we had his thyroid levels tested and he has normal thyroid function And no need for thyroid medicine. He will need lifelong treatment to keep his sebaceous adenitis under control, but it is currently a mild case. His coat doesn’t have the curl that it used to, but the vet commented that if she had not seen his previous vet records she would think he just has dry skin. 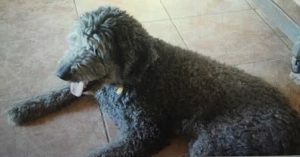 Owner health issues necessitated the placement of this loved and good poodle. He is a sweet, gentle boy, neutered, up to date on vaccinations. 10.5 years old, lives happily with two other dogs. Sadly, his elderly owner is going to a nursing home. My name is Boot and I’m an 8 year old poodle, 21.3 pounds. I’m a friendly, loving, and very undemanding dog. I love people and going for walks, and the highlight of my day is when I sleep on my human’s lap while he’s watching TV. Tinker was raised with me his whole life and we are good friends. 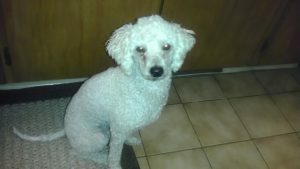 My name is Tinker and I’m a tiny toy poodle, 6 years and 4 months old. I’m a friendly, loving, and energetic puppy who still plays with the toy I came home with and will bring with me. I’m a lap snuggler and will soak up as much attention as I can get, and at 5 pounds 11 ounces I’ll fit nicely on your lap. I am good friends with Boot. Oreo is the sweetest little girl. 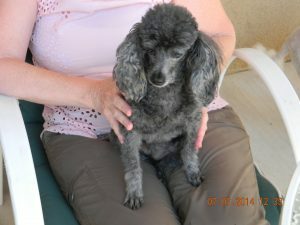 She is a 6 year old parti colored miniature poodle who came into rescue due to the death of her owner. She is used to being with an elderly person, but she has adapted well to her foster’s more lively home. She gets along well with all of the children, other poodles, and cats. She is not food aggressive, walks nicely on a leash, and is just a lovely girl. 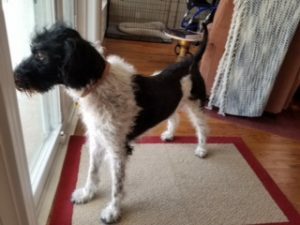 The only reason her foster is letting her go is because she already has the maximum amount of dogs permitted and can’t have an additional dog. Mister is a 7 to 8 year old white poodle who was taken out of the Albuquerque Animal Shelter on 9-13-17. He was brought in as a stray. He is microchipped, current on all shots, and was neutered on 9-13-2017. His sutures are absorbable, so he may be groomed after 9-23-2017. He has also had a dental and his face was shaved due to that, but the rest of him is still matted and he will need a good grooming. 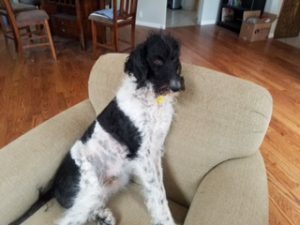 The family who has him reports that he is a sweetheart and loves all people and other dogs, but they are not sure about cats. He loves to cuddle, sit on your lap and play with his toys. He is housebroken, crate trained, and is not a barker. This is a courtesy listing for the family who has him. 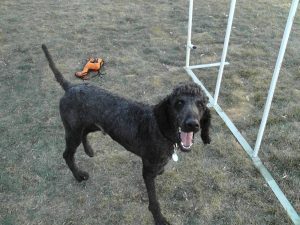 Pierre is a 10 month old black standard poodle. He is already over 60 pounds and is healthy, happy and extremely energetic. He loves people, dogs and gets along with cats. 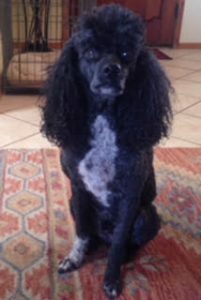 Pierre needs an energetic family who have the time to give him exercise to get out his energy. He does well if given the opportunity to take long walks/runs at least once, if not twice per day. He also will continue to need training to gain more manners. While in foster care, he has learned a lot, which shows his intelligence. He definitely wants to please, but has had no prior training and needa a firm, strong, loving hand. He responds well to praise. If you are interested in Pierre, please email the Home Evaluation. Zza Zza has been adopted! 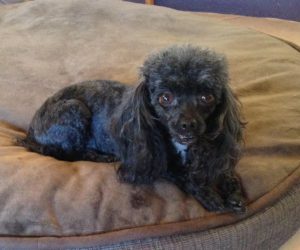 This special little 10 year old toy poodle is a little doll. She loves laps and gets along with adults, kids and other dogs. She is active and has alot of life in her. Lizzie is one of the sweetest little girls we have ever met. She came to us as a stray from S. New Mexico. Right now she is busy being a Mom but will be ready soon for her new home. She will be spayed and utd on all veterinary care. Elvis and Richie: Both boys have been adopted! 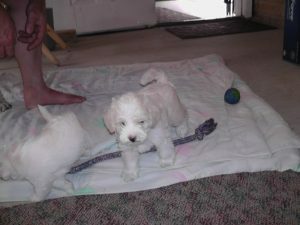 These darling little boys were born to Lizzie, a small Miniature Poodle. We do not know who the father is but the little guys sure are cute. Two of the boys are available. They were born on May 4th. Here is a little info about Louie from the couple that is fostering him.” He loves people and giving kisses. Louie gets along great with our 2 standards and is not afraid of them at all. He is very energetic and outgoing. This 4 year old is not submissive at all. He is a good eater and learns very quickly. If he is not behaving all you need to do is raise your voice a little and correct him. He catches on quickly. He is housebroken and sometimes uses the doggy door. I think our doggy door is too big and it’s hard for him to open the flaps” Louie is neutered and utd on vetting. 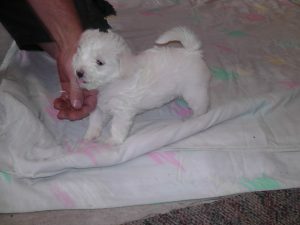 He is a terrific little Miniature Poodle. 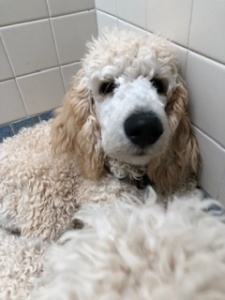 Beau is a 2-3 year old Standard Poodle. Fully vetted. A truly great boy.